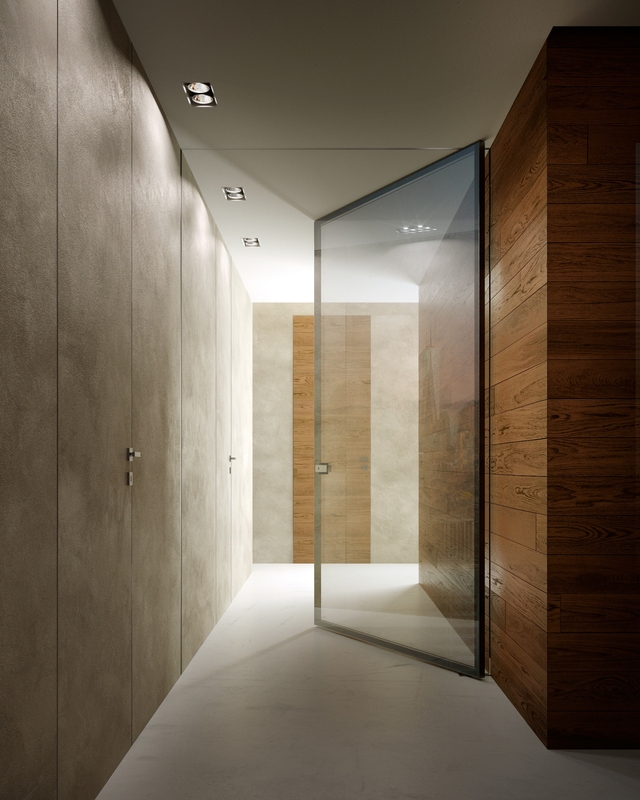 Glazed doors and walls are furnishing elements that add contemporary style and light in one go. Glass walls, whether fixed or mobile, are often used in new builds but also now in renovations, because their transparency and lightness adapt perfectly to current living styles. So how do you make the most of their qualities? See some tips below! Do you want to create a seamless area out of a space with different functions? 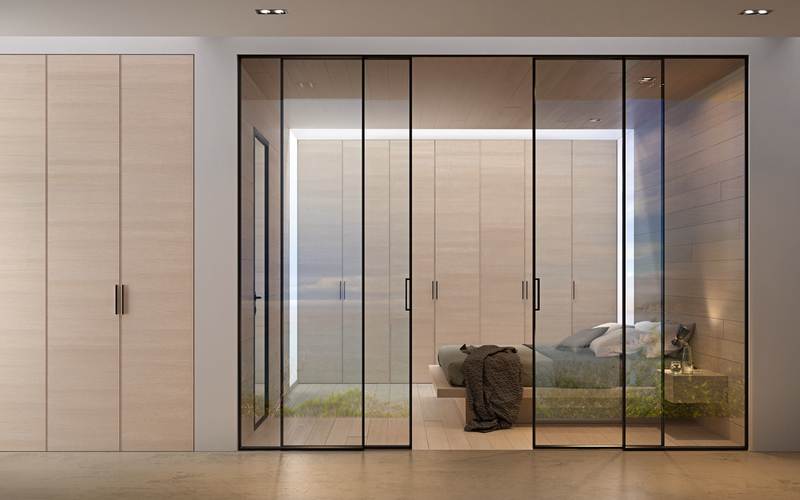 With a wall using a sliding glass door, you can partition a room… without separating it! Do you want to allow light through to darker utility areas, such as bathrooms or storage rooms? With a full height glass door, you can add light in the wink of an eye! Are you looking to create a wow effect? 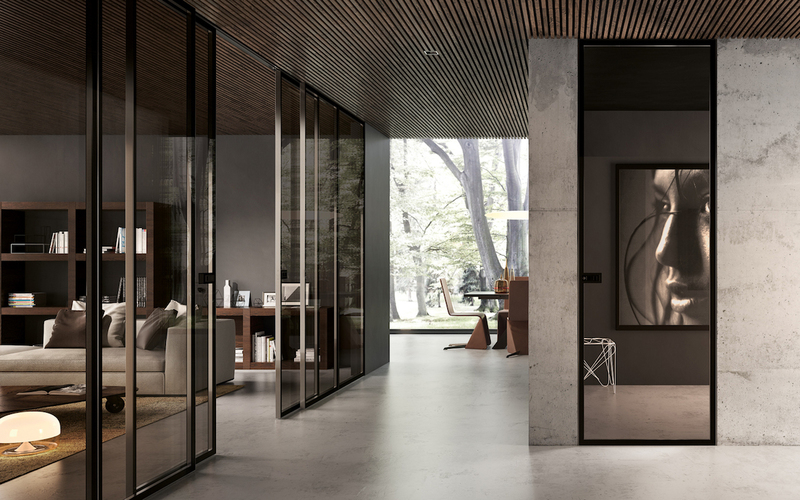 The wall with fixed and sliding doors is an increasingly popular striking, eye-catching choice, especially when the choice of glass falls on an elegant shade like this smoky version. Is it hard to fit? Inserting a wall or sliding door into an apartment is quite simple and not that invasive, especially when fitted directly to the ceiling. The Garofoli track system means that some door models, up a height of 3 metres, can be installed easily, even compensating for significant irregularities in the distance from floor to ceiling. What counts is the proper calculation of the available area and to get in a good fitter to do the job.